In Bascom Global Internet Services, Inc., v. AT&T Mobility LLC, [2015-1763] (June 27, 2016), the Federal Circuit reversed the dismissal of of the Complaint for failure to state a claim upon which relief can be granted on the grounds that the claims of U.S. Patent No. 5,987,606 are invalid as a matter of law under 35 U.S.C. § 101.
are directed to a nonabstract idea, so it defered consideration of the specific claim limitations’ narrowing effect for step two of the Alice analysis. known in the art. The Federal Circuit said that an inventive concept can be found in the non-conventional and non-generic arrangement of known, conventional pieces. The Federal Circuit said that on this limited record before it, the specific method of filtering Internet content cannot be said, as a matter of law, to have been conventional or generic. The Federal Circuit found that the claims do not merely recite the abstract idea of filtering content along with the requirement to perform it on the Internet, or to perform it on a set of generic computer components. The Federal Circuit concluded that the claims were directed to the abstract idea of filtering content, but that BASCOM had adequately alleged that the claims pass step two of Alice’s two-part framework. In Allied Erecting v. Genesis Attachments, LLC, [2015-1533](June 15, 2016), the Federal Circuit affirmed the PTAB’s decision in IPR2014-001006 that claims 1–21 of U.S. Patent No. 7,121,489, were obvious. references could be physically combined but whether the claimed inventions are rendered obvious by the teachings of the prior art as a whole. The Federal Circuit added that the fact that a modification has simultaneous advantages and disadvantages does not necessarily obviate motivation to combine. Allied also argued that the references teach away from the combination. The Federal Circuit disagreed that the reference taught away from the combination, saying that teaching away is when a person of ordinary skill would be discouraged from following the path set out in the reference, or would be led in a direction divergent from the path that was taken by the patentee. The Federal Circuit noted that the reference did not teach away from the combination because the reference did not address the structure of the second reference. In Genzyme Therapeutic Products Limited v. Biomarin Pharmaceutical, Inc., [2015-1720, 2015-1721](June 14, 2016), the Federal Circuit affirmed the PTAB’s decisions in IPR2013-00534 and IPR2013-00537 that certain claims of U.S. Patent No. 7,351,410 and U.S. Patent No. 7,655,226 were invalid for obviousness. Genzyme’s APA challenged the result under the Administrative Procedures Act because the Board cited references in its final written decisions that were not specifically included in the combinations of prior art on which the Board instituted review. The Federal Circuit was unmoved, explaining that the introduction of new evidence in the course of the trial is to be expected in inter partes review trial proceedings and, as long as the opposing party is given notice of the evidence and an opportunity to respond to it, the introduction of such evidence is perfectly permissible under the APA. issue that might arise in the course of the trial. 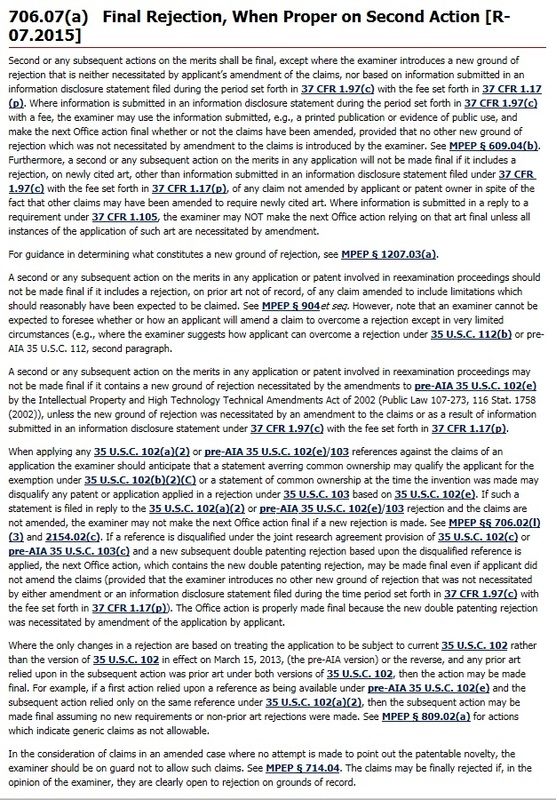 The critical question for compliance with the APA and due process is whether Genzyme received “adequate notice of the issues that would be considered, and ultimately resolved, at that hearing.” Ultimately the Federal Circuit blamed Genzyme for not either moving to exclude the added references or seeking leave to file a surreply. The Federal Circuit held in Ariosa that the Board may consider a prior art reference to show the state of the art at the time of the invention, regardless of whether that reference was cited in the Board’s institution decision, and that is how the Board used the contested references. In Indacon, Inc. v, Facebook, Inc., [2015-1129] (June 6, 2016), the Federal Circuit affirmed the district court’s claim construction, leaving intact the parties stipulation of non-infringement based upon that construction. 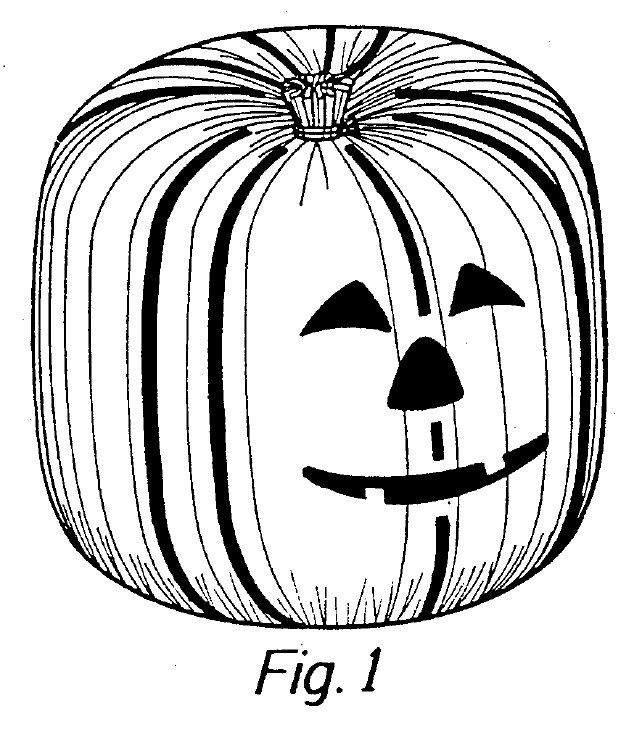 At issues was U.S. Patent No. 6,834,276, claiming a system for replacing link terms with links. Facebook argued that the claims of the patent required all of the link terms with links, while Indacon argued that the claims did not require replacement of all of the link terms. enables association of any selected link term with any of the plurality of files in the selectable database.” Which the Federal Circuit took to mean all of the selected link terms, and then pointed out in the specification, language that it found reinforced the idea that all of the link terms were replaced. 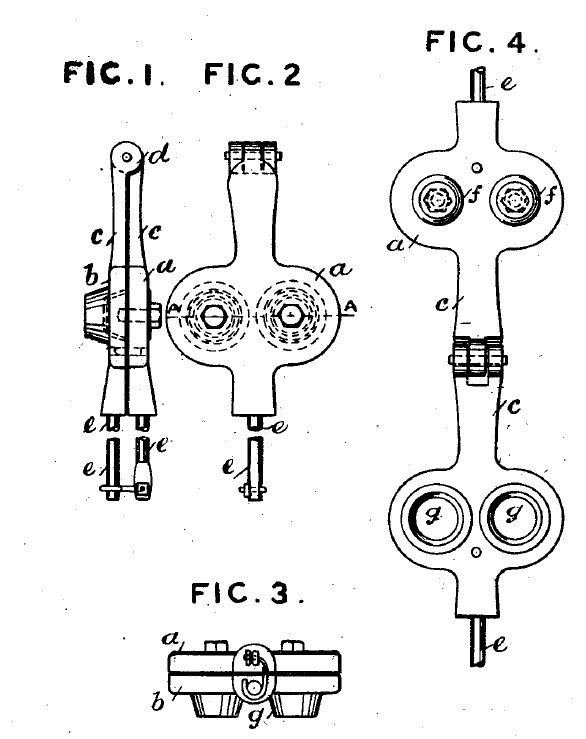 Applicants’ invention from [the prior art]. On June 4, 1991, U.S. Patent No. D317254 issued to Anita Dembiczak on a bag. On June 3, 1901, U,S, Patent No. 701,776 issued to Antonio Valvona on an Apparatus for Baking Biscuit Cups (ice cream cones).